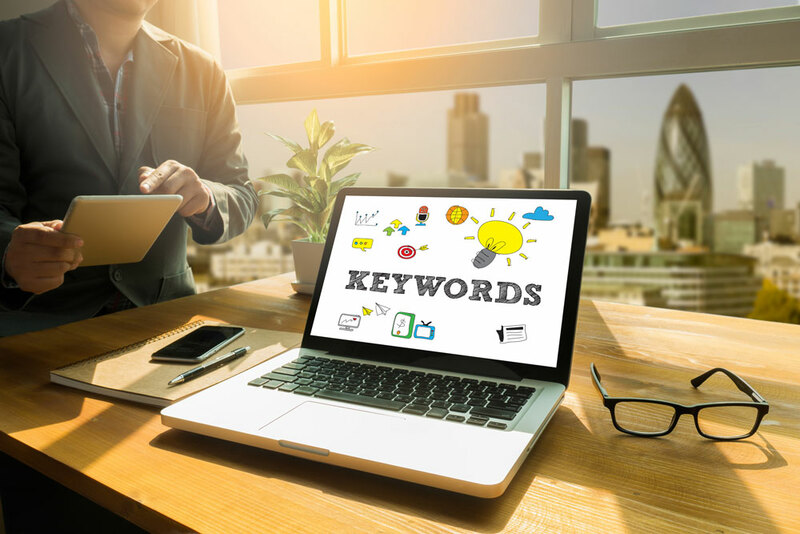 What Keywords Does Your Website Rank For? This post follows a recent article discussing how many hits your website gets. This time we take a look at what keywords or search terms your website actually ranks for and how you can find out. After all, your website rank will determine if you get found in the search engines and how much search traffic you get. First off, let’s decide which search engine we’re talking about. According to Statista Google UK commanded a whopping 88.75% of the search engine market as of June 2016. Bing came in a long way second at 9.29%, Yahoo 3.14%, Duck Duck Go 0.32%, AOL 0.25%, and Ask Jeeves 0.07%. So we’re largely concerned with Google though we will be discussing Bing as well below. Bing has a similar tool called Bing Webmaster Tools and you can pretty much take the same data from both, so while we discuss GSC at some length BWMT is very similar. And even better … they’re free!!! So, let’s go through this step by step. What Does Google Search Console Not Tell You About Where You Rank? GSC will not tell you who actually visited your site, as in John Smith from 52 Lexington Avenue, Cardiff, or John Doe from Alabama, USA. Why? Because 1) it’s highly confidential and 2) the search engine may not know anyway as people search from all number of devices (laptop, mobile), at home and at work. For a better understand of visitor demographics you need to visit Google Analytics. Head over to Google Search Console and login. If you don’t have an account you can create one for free. You will be prompted to do so. Once logged in enter your website’s address in the format: “http://www.example.com” or .co.uk, .org, .net etc (without the quotation marks). The important thing at this stage is to remember the “http://” and the “www”. You’ll then be asked to verify the domain. The instructions are fairly straightforward but you might need your web developer to assist. In our opinion the easiest way to verify the domain is to associate it with Google Analytics property if it’s already been set up. So click on the Alternative Methods tab and it will be one of four or so options offered. Once that’s done you’ll receive an email to the address you logged in with giving you various recommended actions. I would go through them all if I were you. They’re important. Back to the email. Choose a target country. This helps Google. If you have a .com, .org or .net for example you can be located anywhere! For the uninitiated this may be tricky but don’t be put off. It may just be easier for your SEO guys to do it – but it’s important so don’t skip it. Sitemaps will be part of another post soon but if you use WordPress you’re in luck as this is made easy with plugins such as Yoast SEO, Google XML Sitemaps, All in One SEO Pack, and many others. Finding the sitemap within the plugin will be similar with each one. In Yoast SEO go to Dashboard > SEO > XML Sitemaps and click the XML Sitemap button. Copy the URL that appears in the address bar on the next page. It will look something like: www.example.com/sitemap_index.xml. The beauty about many of these WordPress plugins is that once submitted to Google they will automatically update when you create new content! So if I was to create another blog post I would not need to recreate the sitemap. For non-WordPress sites you can automagically create a sitemap by visiting XML Sitemaps. This will however be a static sitemap taken at the time it was created so beware if you create any new content as you’ll need to update it. Now either click Submit a Sitemap button in the email or go to the Console’s Dashboard > Crawl > Sitemaps and click Add/Test Sitemap at the top right. In the example above you can see that 42 pages have been submitted and 41 indexed. This will only appear after Google has crawled your site. It’s not instantaneous. So, What Does Google Search Console Show? Depending on how recently you set up GSC you will either have no data (if it’s a brand new site or you’ve just set it up) or tons of data if your site’s a little older. The specific keywords are listed down the left hand side below the chart. Google refers to them s queries. Results can be filtered in numerous ways such as by keyword (queries), country, device and date. We recommend you have a play. You won’t break anything on this page by clicking around. Impressions – the number of times a page on your website appeared to the searcher for that specific keyword. If you appear on page five and the searcher does not scroll through to page five you will not count an impression. If you’re on page one then you’ll get one more impression every time that keyword is searched for. Do not mistake impressions with search volumes, i.e. the number of times a particular keyword is searched for. Position – yeah! Where you appeared in search for that specific keyword. Click on a specific keyword to drill down further. Scroll right down to the bottom of the page to see how many keywords your site has appeared in search for over the selected time period. You can also download the stats to an Excel file and play with and filter them there. Scroll down to the bottom of the page and click the ‘download’ button in the bottom left. Knowing what keywords you appear for will help you understand what content works and what doesn’t. For example if you wrote a great piece on How to Make a Widget and it ranks on page one with tons of links, and another on How to Bake a Cake which ranks on page five with no links, then there is likely a lot you can learn from the success of the former. This can help determine your content strategy. Importantly you can also use it as a web page rank tracker. If you create a piece on content on “baking for kids” for example you’ll be able to see if, ovr time, you rank for it and have a pretty good idea of why you do or don’t. Bing, Microsoft’s search engine, provides a similar tool to GSC called Bing Webmaster Tools and it’s like a Google Analytics and GSC rolled into one. You can set it up in a similar way to GSC. You’ll need to create a free account and login and you’ll need to submit your site as well, pretty much as above. Click on your website and go to Dashboard. You’ll be presented with an overview. Next, click on Reports & Data. On the right hand side you can click on various filters to add segments to the chart. Scroll down the page and you’ll be presented with an overview of page traffic, search keywords, page mobile friendliness, SEO reports and crawl information. It really is great data. Again, have a play and see what you can find. For the purposes of this article the ones we’re really interested in are Page Traffic and Search Keywords. It really is all quite self-explanatory. But if you have any problems, you know where to come. Really good information here. I’m going to save this post and go through Google search console and put these into practice. Thanks Eric. Really glad you enjoyed the article. I’ve gone and started adding the different variations of my site to the console. When I create new posts, I usually go through and fetch as google and request indexing. Would I have to do this with each version of the site? Also, when I added the https version it recognized me as the owner already, but when I went to add the www version it asked me to verify my identity. If I’ve already verified it with the non www how do I verify with the www version? Good question. No, you don’t need to fetch and render for both versions. When setting up GSC you’ll need to tell Google to point to either the www or non-www version. Give your site a little time to bed in if it’s new and start appearing in search results then return to the Search Analytics section and look at both sites. One should have zero results, the other quite a few, i.e. the one you instructed Google to point to should be the one with the results. You only need to submit to that one. When you say “the HTTPS version” … and “the www version” you’re not comparing apples with apples. Did you mean the www version and the non-www version? Or the HTTP version and the HTTPS version? You should go through the same verification process for both the www and non-www. I usually verify sites with Google Analytics (one of the options) or download a file to my server. GSC may have sent you a verification email. NB: remember to add both the HTTP and HTTPS versions. You’ll end up with four versions of the site: www and non-www for both HTTP and HTTPS. Thanks for the help man. I appreciate it. I got the 4 versions up like you said. And I’ve got my preferred one picked. Thanks again. That’s my pleasure, Eric. Glad I could help. Let me know of I can help again.